Left: Second prototype. Right: Master Pattern. Model kits of such famous brands as Tamiya, Reavell, Esci, Amt, Bandai and others that were in circulation during the years previous to the release of Star Wars, were acquired in big quantities by the ILM team in order to detail the Sci-FI universe concept the film was to portray. To get some of these model kits now a days is a goal quite difficult and challenging to achieve, as many of the kits used during those years are now out of production, and the ones left here and there are sometimes sold at very high prices as collectible or vintage items. 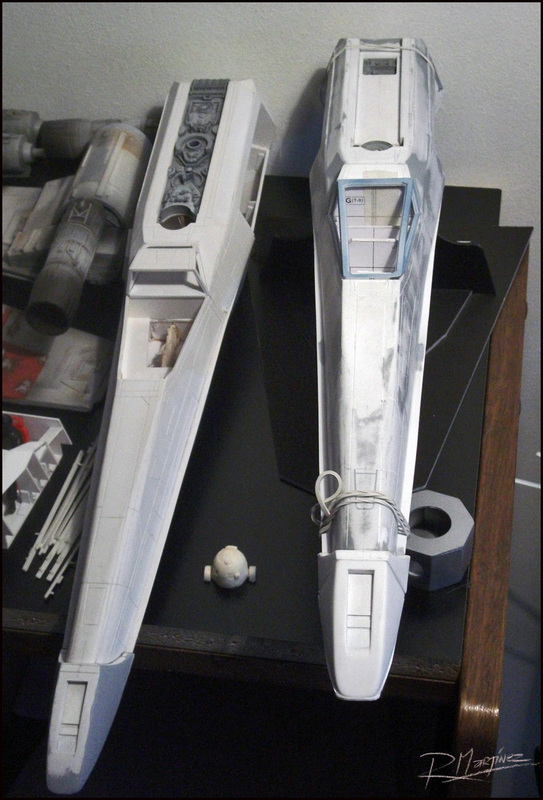 Several months of reference study of the original ILM Filming models used in the 1977 film were required to make this huge project possible. Now a days, thanks to the world wide web, is possible to count with incredible photographic reference of many of the original models used in Star Wars, never the less, this reference material is not enough to enable the accurate drawing of a blueprint. 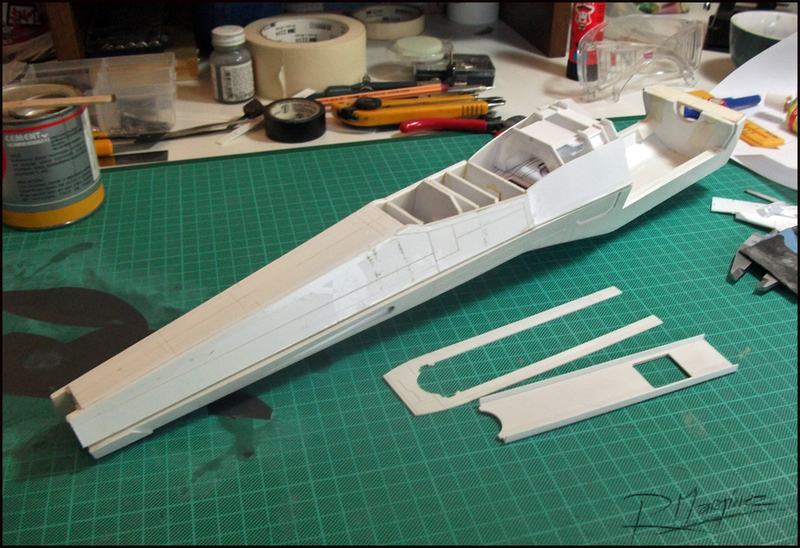 The necessary method to estimate the real dimensions of one of the ILM models is achieved by studying the commercial plastic model kit parts used by the ILM modelers to detail the spacecraft and technology of the saga. This technique is known as “kit Bashing” and it has being used in films as old as 2001: A space odyssey. From tanks to jets, battle ships, trucks and F1 cars were cannibalized to detail the fast rebel fighters and the Empire’s enormous space cruisers. 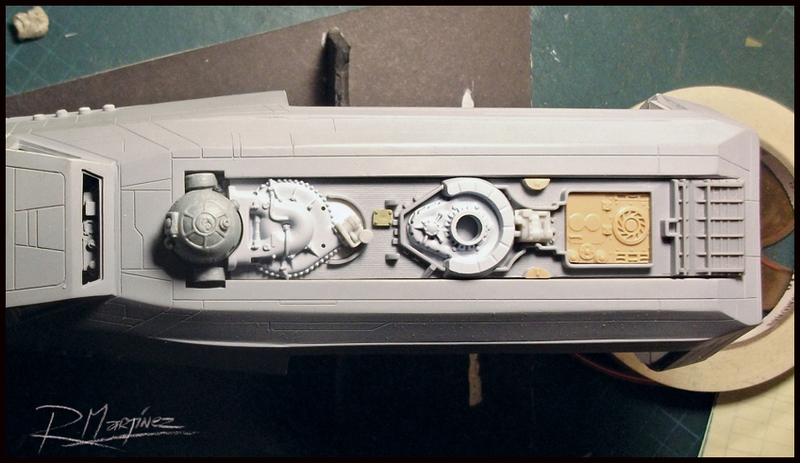 The parts used from these out of production model kits were essential to calculate dimensions to start drawing a blueprint as accurate as possible. Photographic reference material of the models is also essential, but camera lenses and perspectives usually distort the real proportions of anything photographed. 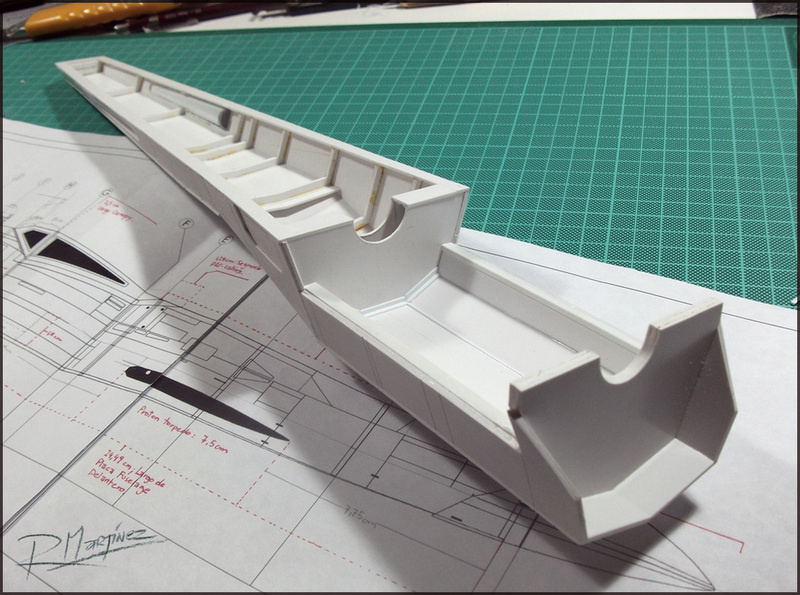 The information of size given by the commercial model kit parts is the only solid data that can help you correct and calculate the dimensions of the model shown on a picture. 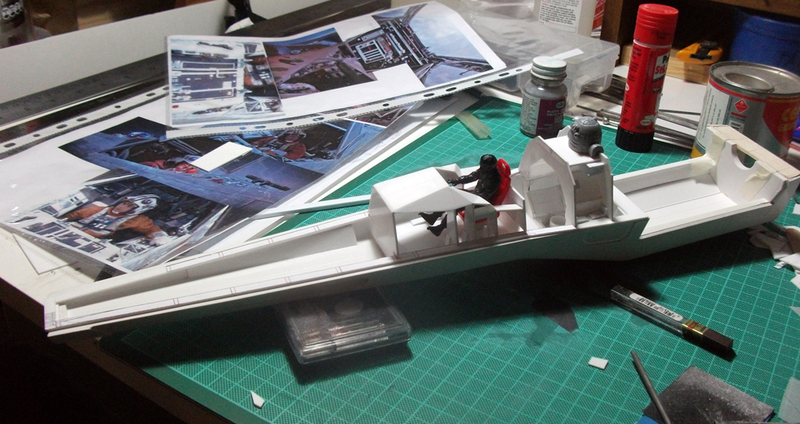 To recognize and get the very same kits used to detail the X-Wing was the first step to achieve this huge Project. 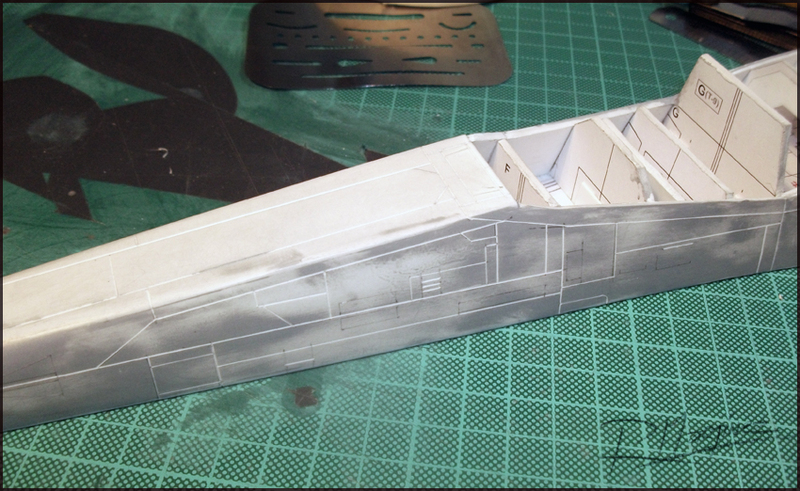 I cannot take the whole credit for the research of all the kit parts used in the X-Wing, as there is an incredible legacy of knowledge about this subject acquired by modelers around the world, specially American modelers, that helped me get started. A salute to all of them. Back to X-Wing Main Page.